Chiwawa dogs are part of the toy dog breed, bringing a lot of energy in a tiny package. 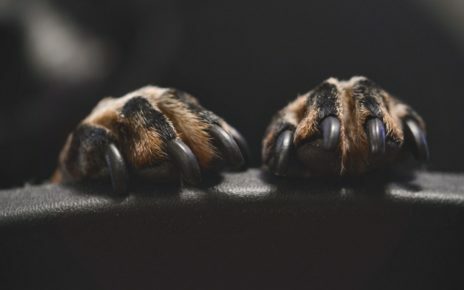 If you have ever had a Chihuahua then you know that they are not hard to love at all. These dogs are naturally small, rather than being bred down from a larger breed. There are two types of Chihuahuas; the long haired and the short haired Chihuahua. The Chihuahua is between 3 and 7 pounds when full grown and stands between six to eight inches. The A.K.C. standards of a Chihuahua require that it not exceed 6 pounds. This breed has a well rounded, apple like shaped head with a muzzle that is tiny in contrast to the head. The muzzle is also slightly pointed, and either will have a level or scissors bite. There are times when puppies have a soft spot or a “molera” on the top of the skull. The bone usually closes as the dog turns into an adult. The trademark ears of the Chihuahua should be held erect most of the time, but may flare to the sides at a 45 degree angle when relaxed or calm. Their eyes are full and round, and very expressive. It has been said that you can tell a lot about a Chihuahua just by looking into their eyes, which are set well apart and very luminous either in a black or ruby color. There are some Chihuahua’s that have light eyes in the case of a blond or white colored coat. 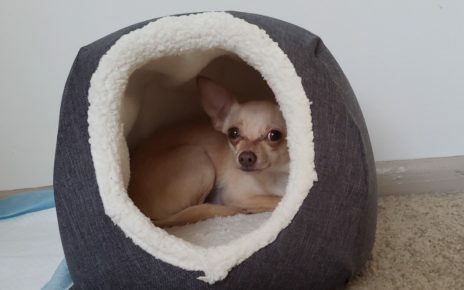 The nose of a Chihuahua is usually blonde or self colored when there is a blonde or light colored Chihuahua; otherwise they have a black nose which is short and pointed. The body of a Chihuahua can be described as stout, robust, compact or even short with well sprung ribs. It is longer than it is tall, because of the off-square shaped of the dog. In males, it is most likely that they will have shorter bodies as compared to the females. The neck is slightly arched, sloping into lean shoulders and then continuing down into a level top line. The front legs of the Chihuahua should be straight, short, and square shaped with the back legs considerably more muscular and thin. The feet are very tiny and even considered dainty. The tail is a sickle shaped tail which is curled over the back or to the side just barely touching the back of the dog. The colors of the Chiwawa vary depending on whether it is short haired or long haired. The short haired variety is the most common. The colors include sand or blonde, fawn colored, chestnut, silver, steel blue, Black and Tan, part-color or mixed with many colors spotted or bloched just to name the most common colors. There are some Chihuahuas in other more rare colors as well. 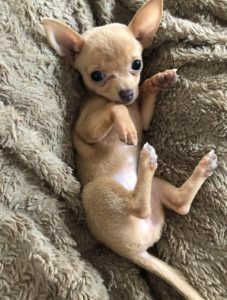 Chihuahua’s can sometimes be described as “teacup,” “pocket sized,” “tiny toy,” or “miniature” These terms are quite misleading because they are not bred to be a certain size; they are just born a certain size. They are naturally small dogs and no matter what size you have, they are all considered to be the standard size of the dog. The behavior of the chiwawa can be described as fun loving and energetic, very loyal and very protective of it’s owner. Often being said that the chihuahua is a large dog in a small dogs body by how courageous they are. Always the first to defend the house and bark at anyone or anything that comes to the door. Many people also use the spelling chiwawa to refer to this dog breed, and we use chiwawa for our website address!